With Bitcoin’s price now booming after months of stagnation, most BTC holders are considering growing their wallets even further before the coin shoots up to newer highs. 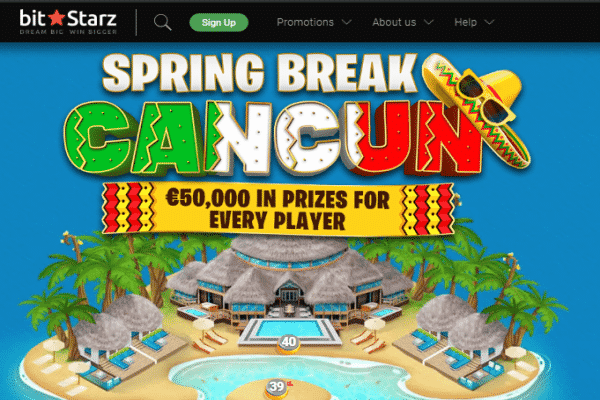 If you are one of those enthusiasts, you may want to take a closer look at BitStarz Casino where a special promo event will be running this week to give away free Bitcoin via a new social media challenge. And if you’re more interested in growing your BTC portfolio by playing casino games rather than being active on social media, you’ll not only find a slot tournament at BitStarz but also new bonus offers at mBit Casino! 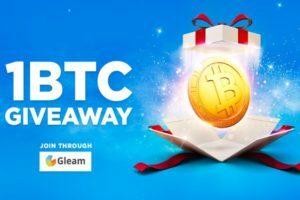 Christmas has come very early at BitStarz Casino, which launched a new Big Bitcoin Giveaway promotion yesterday that will run for an entire week, right until next Thursday. 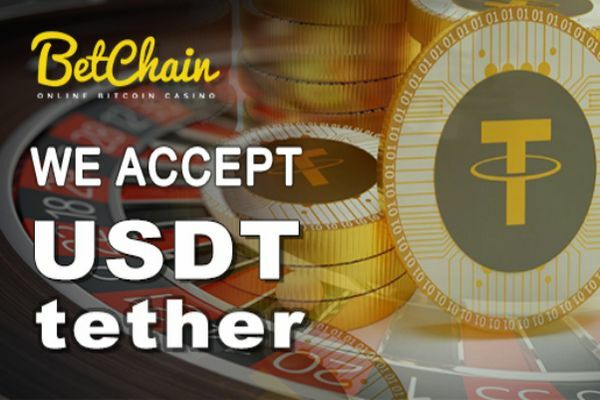 Instead of asking you to play Bitcoin live games or slots, the casino is only asking you to join its competition page on Gleam where various challenges will be given to you. Complete missions like interacting with the casino’s posts, following BitStarz on social media, or sharing its posts with your friends to get up to 9 tickets for the main prize draw. To make your claim for a prize, you’ll need to enter your BitStarz username before completing a task. If you’re not a member of the casino, you can easily sign up within a few minutes and also get 20 free spins on top of the prize you win in the competition. At the end of the promotion, BitStarz will draw the winners and give 50 mBTC to 20 of the luckiest participants. That’s around $260 in current USD value with a chance of growing more as Bitcoin’s price keeps rising in the future! And as if that’s not enough, BitStarz will also be running a new Slot War tournament starting this Sunday where $1,000 in BTC and 250 free spins in prizes will be given to 50 lucky players. If you’re interested in joining the tournament or learning more about the free Bitcoin giveaway, make sure to visit BitStarz’s website today! Easter may be over, but that doesn’t mean that the Easter eggs will stop coming at your favorite Bitcoin casinos. Until the end of the month, mBit Casino will continue giving daily rewards to players as part of its April treasure map, ranging from free spins offers to cash bonuses and more. On the menu today, you have two bonuses, one with a 25% match value and a maximum limit of 1 BTC and the other with a 50% match and a limit of up to 100 mBTC. Other daily reload bonuses will be waiting for you every day until the end of April, including free spins offers you can use on top Bitcoin slot games. And if you’re only interested in weekend prizes, the casino is also giving away two 100% bonuses this Friday, each with a max value of 200 mBTC. If you want to get your share of the casino’s rewards, just use this link to pay mBit a visit. As the final season of HBO’s award-winning Game of Thrones show began airing two weeks ago, the world once again went into a frenzy sharing theories, reactions, and making guesses about who will inherit that famed Iron Throne. But while a global craze on internet forums and social media was to be expected from the biggest show on TV right now, what probably wasn’t expected was that the craze will also spread over Bitcoin gambling sites online. 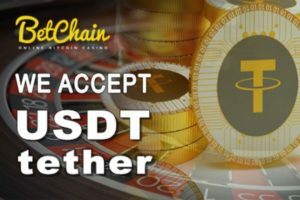 If you’re a fan of the show and are looking for new ways to wager your BTC, you now have plenty of options waiting for you across BTC casinos. 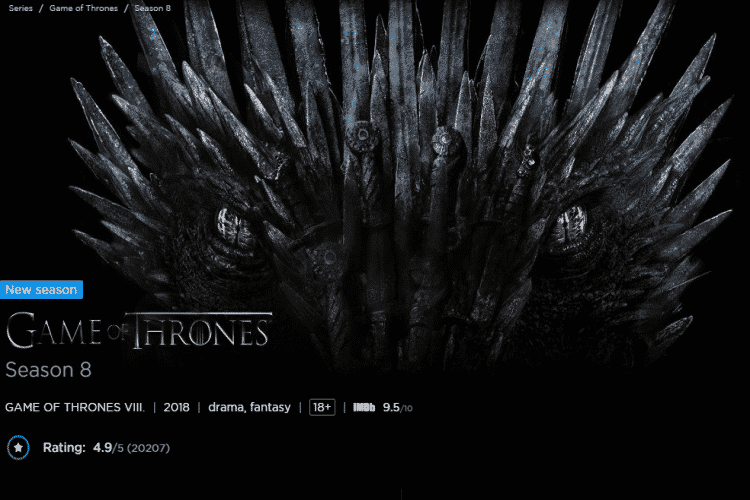 It all started about two weeks ago, around the time the first episode of Season 8 of Game of Thrones (GOT) aired on HBO. At first, punters were only given a chance to bet on the winner of the Iron Throne, but the market has since been greatly diversified, offering predictions and bets on many more outcomes that aren’t related to the conqueror of the seven kingdoms. One of the first sites to jump on the opportunity and set up a GOT betting scheme was Bitcoin faucet Free Bitcoin which launched a betting pool for the winner of the throne. 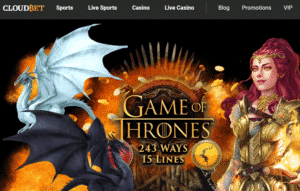 However, the site that really expanded the GOT gambling market was trusted Sportsbook and Casino Cloudbet, which recently introduced a whole range of fresh markets for its members. Apart from giving you a chance to predict the throne winner and win some BTC, Cloudbet also offers plenty of other options on which you can bet. For instance, you can bet on who will die first in Season 8, the third episode of the season, or whether Jaime Lannister will kill Cersei? You can also bet on the possibility of Jon Snow marrying Daenerys or whether some of the Starks will be reanimated by the Night King as zombies. Hodor and Littlefinger are also part of the markets and you can bet on whether they will appear as white walkers or turn out to be alive during the season. All of these markets are outright markets and you have an option to combine multiple bets into a singles, doubles, or trebles betting slip with limits of 0.17-0.44 BTC per bet. It truly is the best time to be a die-hard fan of the show with a passion for betting! Who Will Really Get the Throne? To help you make a more educated guess, Cloudbet has also analyzed the odds of winning for each of the main characters in the show based on one of the biggest sources of Game of Thrones theories – Reddit. According to votes cast by r/GameofThrones members, Jon Snow is the leading favorite, with 28,500 cast votes and a 31.79% chance at winning. Next in line are Daenerys Targaryen and Tyrion Lannister with 15,400 and 10,000 votes, respectively. The fourth position on the list is reserved for no one winning the throne while Arya Stark and the Night King are ranked fifth and sixth, respectively. If you think you know the outcome of the final season, feel free to visit Cloudbet and cast your vote for the throne! Forget about scavenging for chocolate eggs at your grandma’s backyard because we have something even better for you! 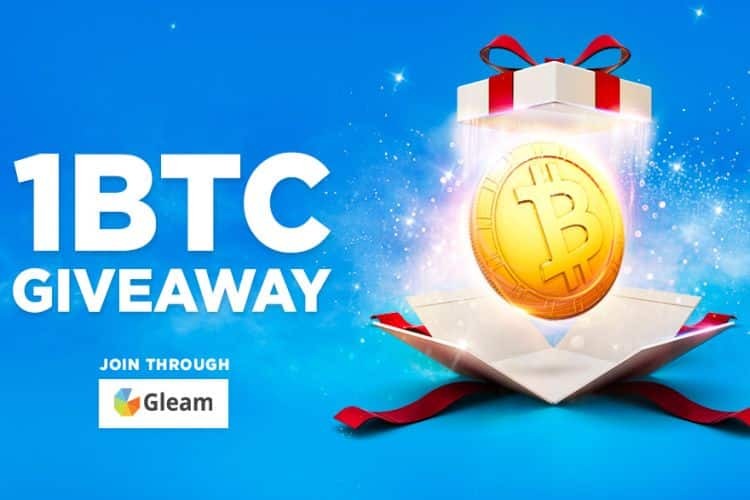 To mark Easter 2019, both Bitcasino and Vegas Casino are running new themed promotions with free Bitcoin prizes for all players who find a digital Easter egg. And if you’re not really feeling the Easter spirit, there’s also a new Game of Thrones-themed tournament that might grab your attention more. Keep reading for more details on these new offers and get ready to win yourself some free BTC. 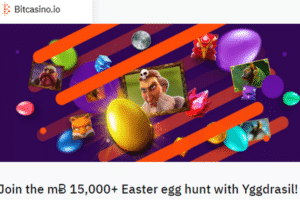 Kicking off the Easter craze is Bitcasino where a new Yggdrasil slot promotion was opened this Wednesday. This special offer will last until Monday, April 22nd and it will give away a total of 2,500 free prizes valued over mɃ 15,000 (€70,000). To take part, you just need to opt-in for the promotion and place a qualifying bet of mɃ 0.24 (€1) on the Valley of the Gods, Easter Island, Vikings Go Berzerk, Champions of Rome, or Dwarf Mine slots. Each qualifying bet you make may randomly award you a regular or a golden Easter egg which will unlock one of the thousands of available prizes. The top four rewards are mɃ 400, mɃ 200, mɃ 170, and mɃ 100, and there are two of them available in each prize range. Tons of other prizes are also offered to other lucky players, including over 1,600 prizes of mɃ 3, and mɃ 2. If you want to see the full range of rewards and try your luck at finding an Easter egg, feel free to go and check out Bitcasino’s promotions page! Another Easter-themed promotion you can join this week is the new egg hunt at Vegas Casino where individual prizes of up to 50 free spins and a special 100% match bonus are offered to all participating players. The bonus can be simply claimed by depositing with the exclusive code “BUNNY” while the free spins can be won by exploring the site of the casino to find the golden Easter eggs. For each egg you recover, you get 10 free spins on the Money Farm slot game. For those not really interested in Easter bonuses, Vegas Casino also has a Game of Thrones (GOT) tournament available that has a combined prize pool of mɃ 1,100. In a true GOT spirit, the casino has selected four slot machines to promote in the competition, each representing one house (white walkers, Targaryen, Stark, and Lannister). To take part, you have to throw your support for one of the houses by playing their designated slot machine with real money. The house that gets the most support will end up winning the competition and the player with most bets on its slot machine will get a prize of mɃ 500. Runner-up prizes of mɃ 200 and mɃ 100 are also available for the second and third player of that winning house, respectively, as well as mɃ 100 prizes for the most active bettors of each of the other losing houses. For more about the rules of this competition or the Easter bonuses, use this link to navigate to Vegas Casino. 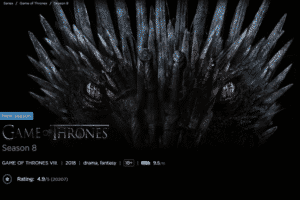 As HBO subscribers from across the world prepare for the return of the smash hit Game of Thrones for its final season on Monday, Cloudbet Casino will be running a new tournament that can help you kill some time and get paid while waiting for the first episode. Dubbed “Winter is Coming”, the new tour will be exclusively open only during this weekend and it includes Microgaming’s licensed Game of Thrones slot machine! And if you want even more prizes than what you can get with this competition, you also have a new promotion open at mBit Casino. If you want to join the hype for one of the biggest shows on TV right now, Cloudbet is giving you a chance to play slots based on Game of Thrones at its online casino and win some free spins prizes to use after Monday. The casino’s new competition starts today and will last until Sunday, 23:59 UTC, a period during which you can play a number of selected slot games to win a share of 2,000 free spins. All prizes are given for the Wild North slot, with the first player receiving a mouth-watering 520 free spins. To participate, you just need to play Microgaming’s Game of Thrones, Dragon Maiden, Fire & Ice, Dragon Slot, Wild North, or Forbidden Throne slots. For each 1 mBTC you spend on the selected games, you get 1 point for the tournament leaderboard. The prizes will be given after the tournament officially ends and VIP players will get enhanced offers to join in on the fun. If you like to get more information about the competition, just pay Cloudbet a visit by using this link. Another interesting offer we spotted for you this week is mBit Casino’s new April promotion. This special offer will last until the end of the month and every day it will end up giving a variety of prizes to members at the casino. To take part, you just need to be a depositing member at mBit Casino and opt in for any of the 30 offers that will be unveiled on a daily basis. Claiming offers from previous days is also possible, so even if you miss something you’ll still have a chance to get it later. So far, a variety of prizes have been made available, ranging from massive packages of 300 free spins to match deposit bonuses and beyond. 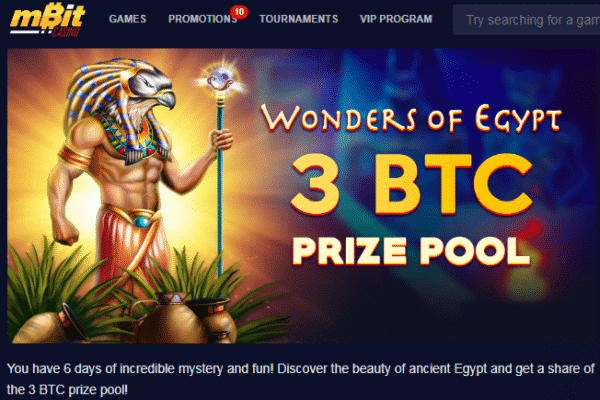 The latest promo offered is an Egyptian-themed slot tournament with a prize pool of 300 mBTC and free spins rewards that you can claim by playing selected slots until Tuesday, April 16th. 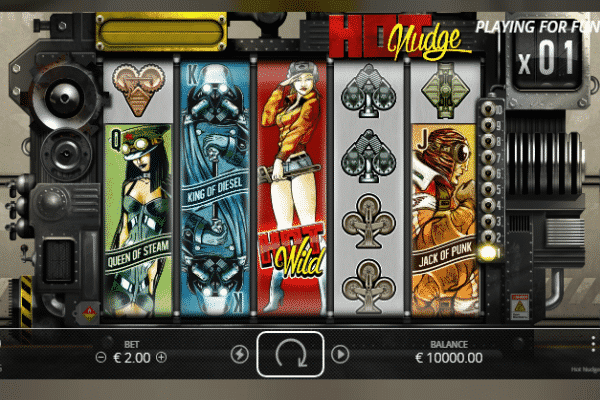 Like before, the casino will give you points for every real money wager you spend on the games which you can accumulate to climb up the leaderboard and win prizes. 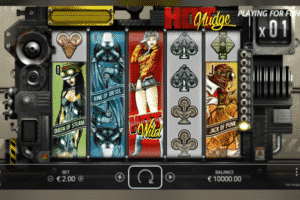 If you feel like you’re up for some good old slot competition, check out mBit Casino for more details on the offer! 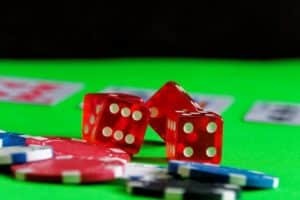 The Tron cryptocurrency (TRX) is enjoying a great popularity with online gamblers, both in and outside of top Bitcoin casinos. According to recent estimates, the young digital asset may not be growing in value as fast as some other cryptocurrencies are but that doesn’t stop it from being one of the several coins to turn to when you want to gamble more privately online. As recent numbers show, the coin is now responsible for a billion in USD transactions related to online gambling. Tron officially began trading around September 2017 and like all cryptocurrencies that year, experienced a peak in interest around December when Bitcoin hit its record value of approximately $20,000. 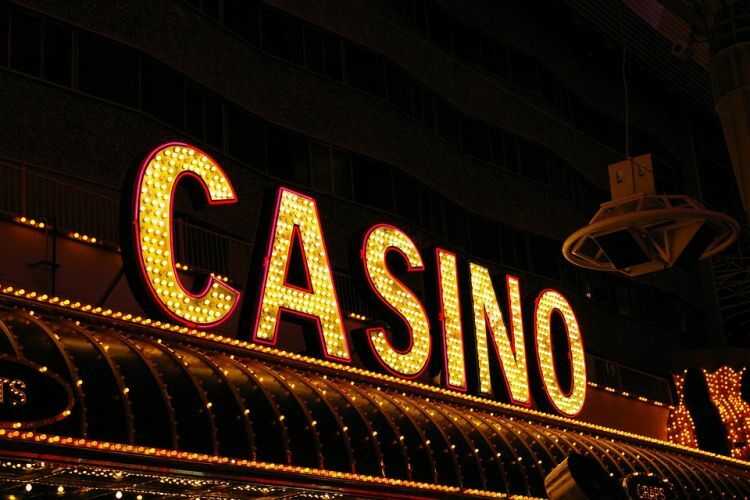 While most traders may easily overlook the coin as it can’t offer the same earning potential as other digital assets can, gamblers have obviously found value in using TRX to place wagers across specialized casinos online. According to EuropeanGaming, TRX coins have been responsible for more than $1 billion in gambling transactions in the first quarter of 2019 alone, with much of the gaming done on decentralized casinos and gambling dApps. As the online portal reports, casinos based on the Tron blockchain have processed over $80 million combined in the last week alone, with the most successful of the specialized sites reaching a volume of $43.5 million during the said period, or 1.5 billion TRX coins. On the other hand, dApps based on the TRX blockchain have generated a turnover of more than $1.6 billion with the help of over 430,000 users. As 64% of Tron dApps are related to gambling, that roughly estimates to $1.024 billion in gambling-related transactions alone. These numbers may not sound too impressive but when you consider the casinos that generated them, they are certainly to be applauded. 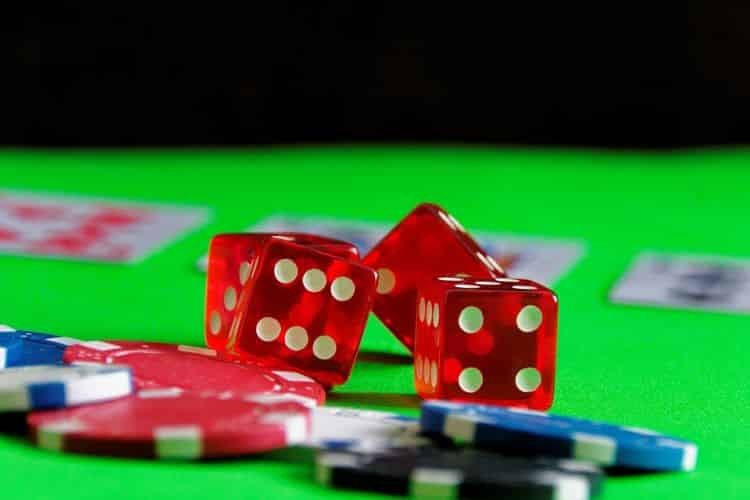 Even with the limited range of games offered at Tron-based casinos, these operators have managed to generate a turnover that could compete with a variety of fiat-money websites. Just imagine what they can do if they improve their offers more. While Tron’s success in the online gambling scene is nothing you can easily overlook, it’s still just a small part of the success of the global industry. The leader in cryptocurrency gambling is still Bitcoin, with the coin accounting for approximately $24.5 billion in bets made over a two year period, according to latest reports. And even this achievement is relatively small when compared to the value of the overall online gambling sector. As a report from Coherent Market Insights show, the global online gambling industry was valued at a big $46.9 billion during 2017, thanks to the fast growth of internet users around the globe. With 2019 numbers showing that over half of the world’s population has access to the internet and the advance of mobile gambling, online casinos across the globe are not only expected to continue growing but the industry is also expected to hit a value of $100 billion by 2016. What portion of this value will be taken up by cryptocurrency casinos, remains to be seen. As a leader of the cryptocurrency pack and the original coin that started it all, Bitcoin has enjoyed a great deal of popularity with both investors and gamblers over the past years. But according to a new report from established rating agency Weiss Ratings, Ripple (XRP) and EOS are now challenging Bitcoin’s dominance not only in the investment sector but also the cryptocurrency casinos it helped build when it was the only digital asset that allowed players the benefit of online anonymity. According to the new Weiss Cryptocurrency Outlook report which was released this month by Weiss Ratings, XRP and EOS coins are now among the top three cryptocurrencies available on the market together with Bitcoin. The report was prepared by a digital asset unit of the rating agency which studied exactly 122 cryptocurrencies using a variety of metrics and found that, contrary to popular belief, there isn’t a big decline in the use of cryptocurrencies. As the unit’s research discovered, the leading crypto assets are now enjoying 3x more volume in on-chain transactions than they did in 2018, with three cryptocurrencies leading the pack. Graded with the highest score given to any cryptocurrencies – B – Bitcoin, Ripple, and EOS found their way to the top of the report while the remaining coins were given ratings of C, D, and some even E –a rating which is considered really “weak”. According to the Next Web, who spoke to a chief analyst at the agency, the ratings were formed after considering four main metrics: risk, technology, adoption, and reward. As one of the metrics showed, at present EOS has the biggest on-chain transaction volume across the globe, with the volume hitting $4.6 billion per day, which is 14x times the volume of Bitcoin and 8x higher than the volume of Ethereum which didn’t even make it to the top five spots on the list. Although the report indicated that the EOS network is responsible for processing a large number of transactions, it was not as specific as to point out exactly which dApps are driving the volume. 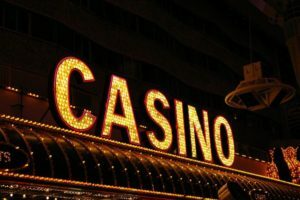 However, Weiss Crypto Ratings’ chief analyst, Juan Villaverde, said that it was worth pointing out that a large part of that traffic was due to online gambling. According to Villaverde, the data collected during the research wasn’t further studied to pinpoint the exact sources of the high transaction volumes because the agency doesn’t like to “discriminate” the “transaction quality” at this time. However, as he puts it, a brief review of the information quickly reveals that the majority of volume is coming from dApps related to online gambling and gaming, which the agency believes is the “niche” that smart contract platforms and cryptocurrencies have presently found. As we reported two months back, EOS has become the dominant coin for dApps protocols, surpassing Ethereum and coming up ahead of the TRON (TRX) cryptocurrency. And, according to historic data, approximately 70% of the $5.5 billion traffic EOS generated since its inception last year was thanks to gambling-related dApps.